When Michel Ancel, creator of Rayman, first demoed Wild, the PlayStation 4-exclusive game set in a lush Neolithic world of ancient tribes and animals, it was generally met with raves. After nearly a year, however, gamers actually want to know how it plays. 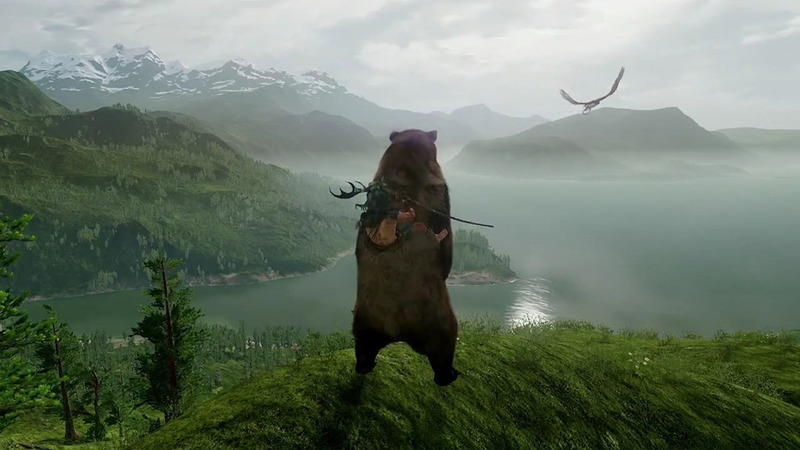 At Sony's Paris Games Week event, Ancel replied in the best way possible: By showing you could ride a freaking bear. In Wild, you can also take control of animals and play as them, summon spirits and walk (or swim) around the vast open world. But before any bear-riding happens, you'll need to get savvy about your environment. As Ancel explained in his charming French accent, "For hours and hours at the beginning of the game, you will be killed by the bears." Wild comes from Ancel's new Wild Sheep Studio in Montpellier, France. In it, you play as a member of an ancient tribe during the Neolithic period between 6,000 and 5,000 BC. 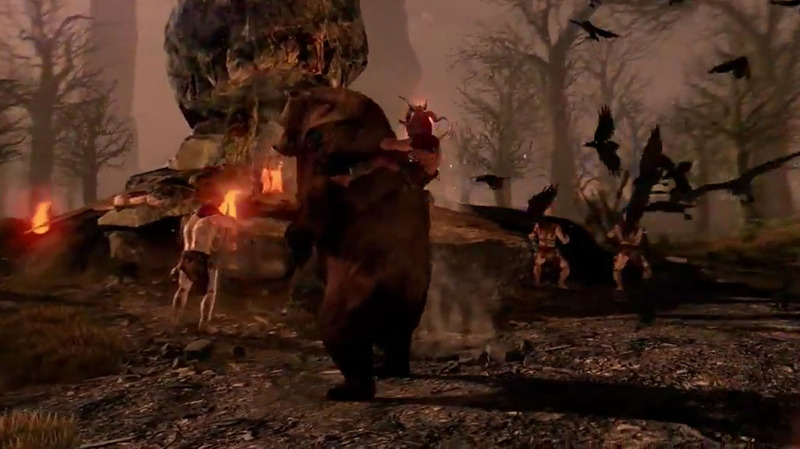 The Europe-sized open world is populated by bears, wolves, eagles, rabbits, fish and other animals, which your shaman character can take control of. This gives you special abilities like night vision or the power to summon gods that can help you deal with extreme weather, changing seasons and nighttime enemies. Certain landmarks in the game's world, like large stones or trees, make ideal camps for protection and a base of operations. Though you can wander around all you like, the goal is to colonize territory through exploration. "As designers, [we are] doing the game we want to play," said Ancel. "We want to be surprised with the game; we don't want to see the boundaries. We want every player to spawn in a different location, so they don't see the same beginning of the game." Such a world requires on-the-fly procedural generation techniques, but they're apparently married with artisanal touches: "We took a balance between homemade and generated things," he said. 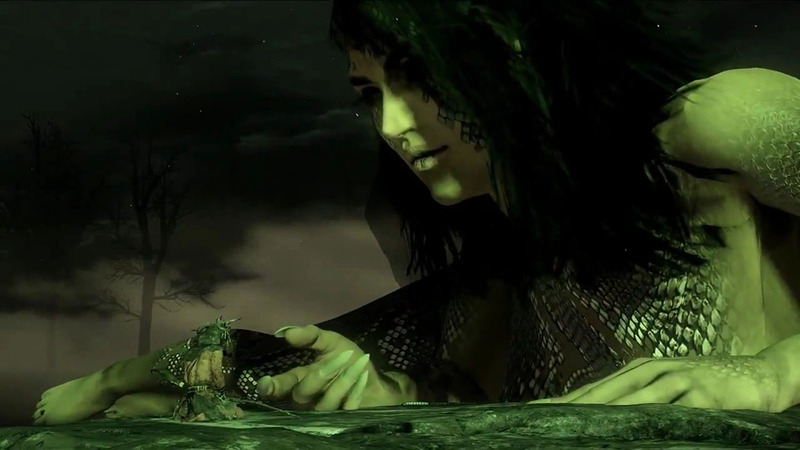 Wild lets you summon fantastical characters like a snake goddess (pictured above), but Ancel believes the title is still grounded in reality. "In this period ... the spirits are a mix of animals and humans, because nature was the most powerful thing on earth." That means that you can gain the naked snake goddess' knowledge, but Ancel said that power comes with a price: You may need to sacrifice a member of your team. We also learned what happens when you die in Wild​. Ancel explained that if you're possessing an animal and that animal dies, you'll return to your human body; and if your human form perishes, you'll respawn at your last camp or shelter. As he alluded to earlier with the bears, there are endless ways to die, so you can't just go rampaging. "The sound you make will attract other animals. So it's a balance if you want to fight or use these very loud sounds from the bear. It's something that you can use, but it can work against you or for you," he said. Once you gain the trust of a bear or other animal, you can bond with it. Until then, it can kill you at any time. One of your primary goals in Wild is to domesticate a bigger animal and make it part of your team. To do so, you'll need to adopt a cub or assist an injured animal. And if you want to acquire territory rather than just roaming around, you're going to need that team. "We want people to have a feeling like there is a project in the game -- [like] there is something to achieve," he said. "If I have to explore the world, I will have to do it with my animals." The demo looked surprisingly good for an early build, but there's still no word on a release date. And while Wild seems like fun, it also sounds like a chore at times -- Ancel, at one point, said that you might actually need to schedule exploration days. That said, he is the designer of classics Rayman and Beyond Good & Evil, and assured us the game wouldn't be a pique-nique. "We don't just want a game of peace and love, because nature is about life and death. So you will have to make choices." We're live from France for Paris Games Week 2015. Click here to catch up on all the news from the show.